Conservative leadership hopeful Kellie Leitch (above) is proposing to scrap the CBC if she manages to reach the Prime Minister’s Office. Leitch, whose leadership campaign made headlines when she proposed screening new immigrants for what she described as “anti-Canadian values,” now has the national broadcaster in her sights. 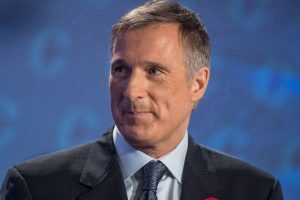 While leadership rival Maxime Bernier has proposed reworking the CBC’s mandate, cutting its funding and barring it from selling private advertising, Leitch goes much further. She says the broadcaster doesn’t need reform – it needs to be put out of business altogether. She says it’s unfair that while private media companies are struggling to stay afloat, the CBC is able to rely on federal subsidies. Leitch says she would keep the parts of the CBC that provide emergency services to remote and rural parts of Canada. “I strongly disagree with the stance taken by fellow leadership candidate Maxime Bernier and his call for CBC reform,” said Leitch, who represents the riding of Simcoe-Grey. She said the media in Canada lacks a level playing field. “For Canadian democracy to thrive, we need to hear from the different voices in the press,” she said in a statement. The Conservatives’ leadership election is in May 2017. This story can be found at: http://marketingmag.ca/media/as-prime-minister-kellie-leitch-would-scrap-cbc-187129.